When it comes to following up lapsed memberships, promoting an upcoming event, updating database records, or setting appointments for executive members, sometimes email or direct mail just doesn’t cut it. The team at Optimum Contact knows the best techniques that work when it comes to the kind of ‘human-to-human’ contact that organisations sometimes need to help ‘cut through the noise’. 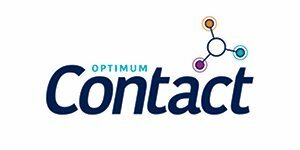 A range of national industry associations and not-for-profit organisations have benefited from the Optimum Contact touch. By operating like an extension to their clients’ team, Optimum Contact mirror the organisation’s ideals, ethics and brand values. In short, it’s a partnership not an outsourcing arrangement. Access1st partner associations can unlock specially discounted rates on services from Optimum Contact. Full information can be found behind the 'Association Professionals' log-in. You can find out more about Optimum Contact's association services here.